The Federal Customs Service of Russia has included items made of precious metals, including watches, in the list of strategically important goods. Since November 24, their entry into the country without a declaration will be equal to smuggling, according to the agency’s website. If the cost of smuggling exceeds one million rubles, violators will fall under the article of the Criminal Code of Russia 226.1. They will face from three to seven years in prison with a fine of up to a million rubles. The list of strategically important products will include items made of precious metals and stones, as well as natural pearls; pocket and wrist watches with a case of precious metal; cases, straps, bands and bracelets for watches made of precious metals; ores and concentrates of precious metals. The newspaper Vedomosti, citing customs, reports that in the first half of this year Russia imported precious stones, metals and products from them for 7,03 million dollars. 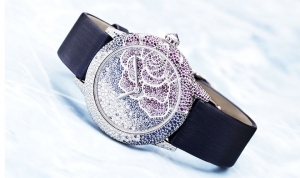 The lion's share of the Russian market of expensive watches and jewelry falls on gray imports.